Cosmetic treatments form a considerable part of dental procedures today. 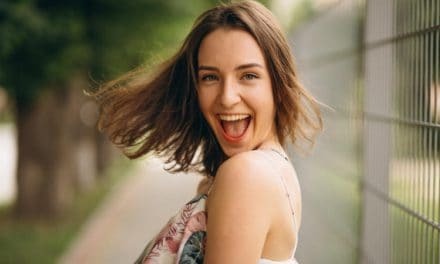 Teeth whitening is a commonly saught technique by people of all ages. For people undergoing orthodontic treatment, food lodgement and metal appliances may sometimes cause discoloration, needing whitening. So, if you are wearing braces then methods to whiten teeth include whitening toothpaste, home bleaching, and office bleaching. Each technique has its conditions, pros, and cons. Let’s see them in detail. The ADA has approved whitening toothpaste that contains fluoride and some special abrasive agents like peroxide and baking soda. These remove or lighten the stains on the teeth. These kinds of toothpaste are well suited for people wearing braces because the contents of the paste do not react with or harm the metallic brackets and wires. Just like regular brushing, a pea-sized quantity of the paste is adequate. Keep the brush at a 45 angle and brush all the surfaces thoroughly, even the inner surfaces. 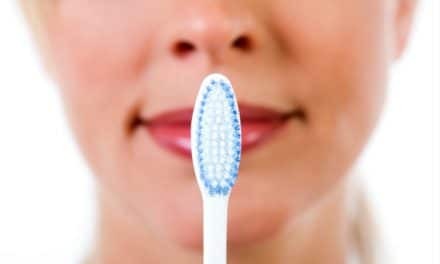 Continue brushing for at least two minutes. For the areas in between the teeth, you can use a fine interdental brush. These pastes can only help with the superficial lightening of the teeth. The intrinsic stains from the deeper layers cannot be removed since the toothpaste does not penetrate so deeply. Before the actual procedure is carried out, you must get your dental scaling done. This is important to remove any surface debris and irregularities. 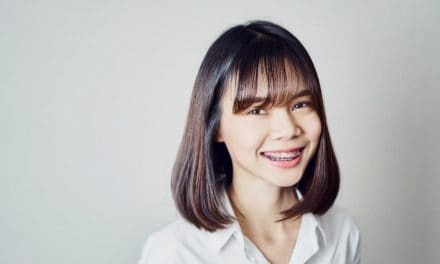 Patients with braces needn’t worry about this as it is most likely that you have got scaling before having your braces put. The scaling is usually done on a previous appointment and followed up with polishing on the day of the bleaching. It is necessary to protect the gums from the bleaching agent since it contains strong chemicals. The dentist achieves this with different isolating techniques. Commonly, the doctor applies a gel on the gums which protects them from the chemical agent. The gel is then cured using a curing light, and that is how it becomes active. It is easy to remove the barrier after treatment, by just peeling it off. 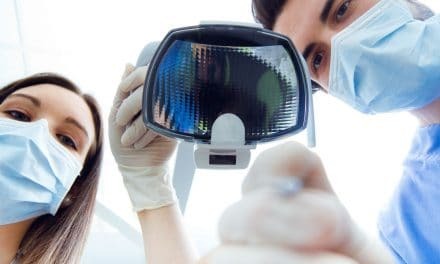 Some dentists ensure complete protection of even your face and eyes. Cheek retractors, face masks and protective eyewear aid in giving this extra protection. In the mouth, cotton rolls are also useful for isolation. Now the main procedure begins with applying the bleaching agent. The bleaching agents are supplied as gels or pastes. The dentist applies it on the teeth and then may use a curing light to activate the agent. The use of this light is optional, and some practitioners do not find it necessary. Another step that varies from dentist to dentist is the number of cycles of applying the agent. Most commonly, two to four cycles amounting to about 75 minutes are carried out. At the end of the bleaching procedure, the dentist uses suction and also washes your teeth thoroughly to remove any excess agent. Lastly, the clinician removes the isolation agents. Your dentist will advise you to avoid tea, cola, wine and tobacco products for a day, to prevent staining. As the name implies, home bleaching system is a technique to whiten your teeth on your own, at home. Home bleaching is also used in combination with, and after office, bleaching to maintain the whitening. There are different delivery systems to whiten teeth at home. The dentist makes measurements of your teeth and makes individual trays for home use. These trays have enough space to accommodate both the bleaching agent and the metal brackets. They are soft, flexible and transparent plastic. This is important because the gel should not impinge on the brackets. The bleaching kits are available to buy, and you should always consult your dentist before the purchase. You can also check if the dentist can supply you with a bleaching kit. You can dispense a small quantity of the gel in the molded trays, and then seat the tray in your mouth. As you place the tray over your teeth, some excess is likely to ooze out. Wipe off this excess and avoid contact with your gums. The duration varies according to the bleaching agent you are using. The time is mentioned on the packaging, and try to adhere to that time for best results. Once the stipulated time is over, remove the trays from your mouth and wash off the excess gel. The use of whitening strips for patients wearing braces is debatable because these strips only whiten those parts of the teeth which come in contact with the strips. These strips are thin plastic strips coated with a bleaching agent like hydrogen peroxide, which doubles up as an adhesive. People prefer these strips because they are simple to use and there is no spillage of excessive material. Conventionally, these strips are indicated to be used for thirty minutes twice a day. Using these strips is very easy. Just place them over your teeth and gently press them. This may exert undue pressure on the brackets. This is one of the reasons that dentists do not recommend teeth whitening strips for people wearing braces. 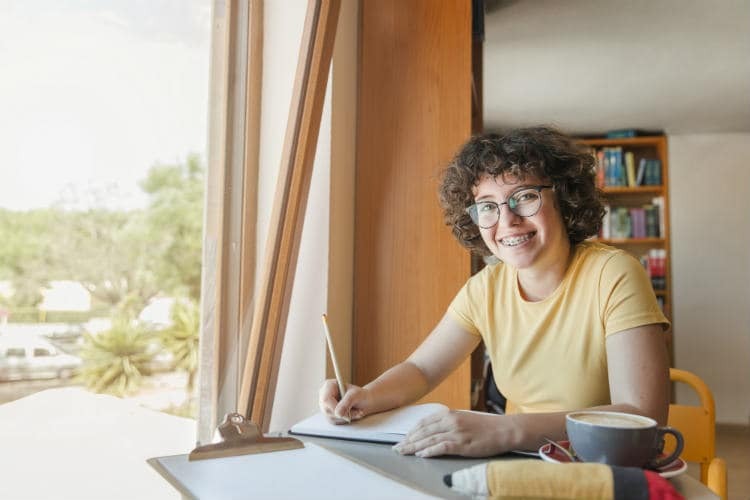 Just like strips, whitening pens are not favorable for braces wearers. Whitening pens are paint-on pens which contain the bleaching agent that can be painted on the surface of the tooth. Only the parts of the teeth that are not covered by braces will be bleached, resulting in selective whitening. Though bleaching is a natural, non-invasive procedure to whiten your teeth, there are measures you should take to stop your teeth from staining excessively. Keep a check on your consumption of aerated drinks and colas. These contain colored pigments which stain your teeth. Similarly, tea and wine can also stain your teeth. Candy and other products with artificial ingredients leave stains that are difficult to get rid of. Reduce the frequency of intake of these. Keep your teeth clean regularly. Toothbrushing, flossing and regular dental visits will prevent excessive staining and discoloration on your teeth. In a time where looking good is more important than ever, having braces should not stop you from getting the perfect pearly whites. Office bleaching or home bleaching- use whatever you find best and make sure you take all the required precautions for the best results. PreviousWhen Do You Need to Undergo Gum Surgery? NextDo You Know How to Strengthen Enamel?